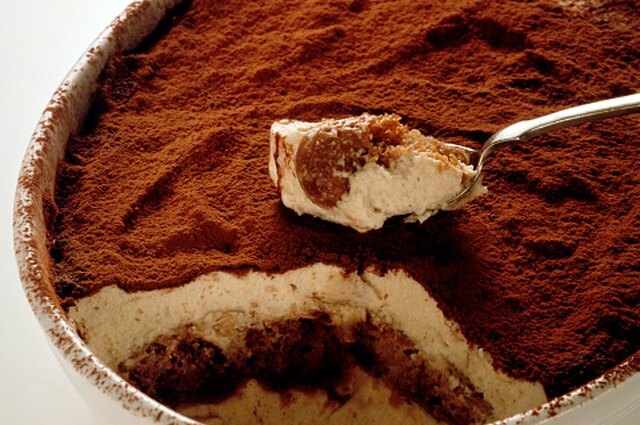 Tiramisu is an Italian dessert made from layers of soft ladyfingers, a variety of liqueurs and sweet cheese. If preparing a special dessert for a party, you can make this ahead of time, then freeze it. 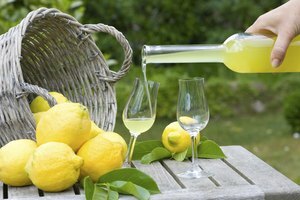 Freezing the dessert will allow the liqueur to soak into the cake and intensify the flavor. The major component of the dessert, the ladyfingers, keeps well when frozen. Make individual tiramisu and take out the desserts as you need them. Freeze a full pan of the dessert for large crowds. Prepare your tiramisu, leaving off the cocoa powder topping. Wrap the individual or whole dessert with plastic wrap. Rewrap the dessert with a second layer of plastic wrap, sealing the air away from the food. Cover the two layers of plastic wrap with aluminum foil. Freeze the dessert. It will stay fresh frozen for 3 months. 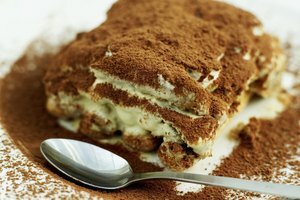 When you are ready to enjoy, place the tiramisu in the refrigerator overnight. Remove the wrap and dust the top of the tiramisu with cocoa powder before serving.